This is one of my favourite dish. 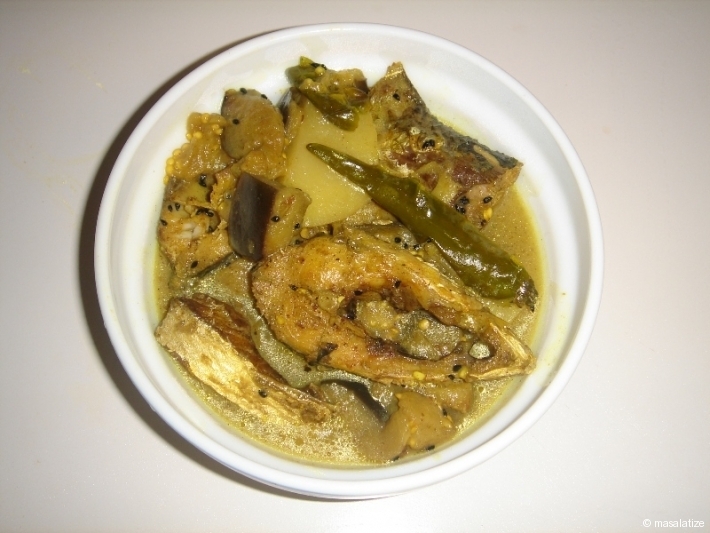 Ilish Macher Jhol is a very popular dish of Bengali cuisine. It tastes wonderful. 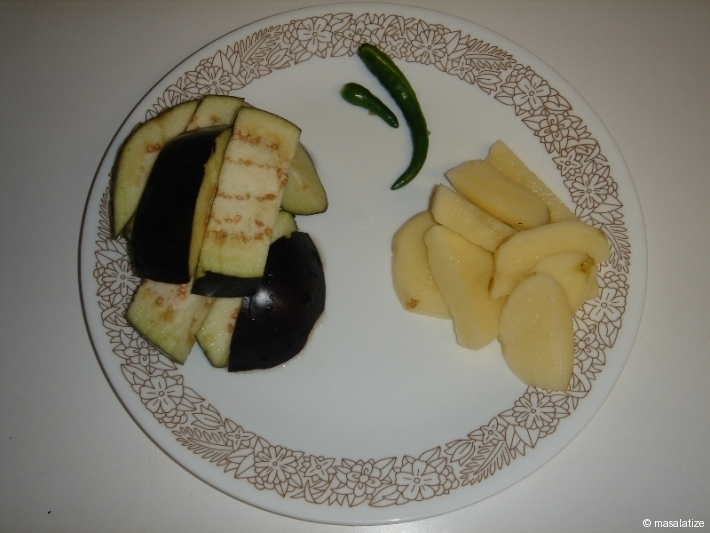 Cut Egg Plant and Potato lengthwise. 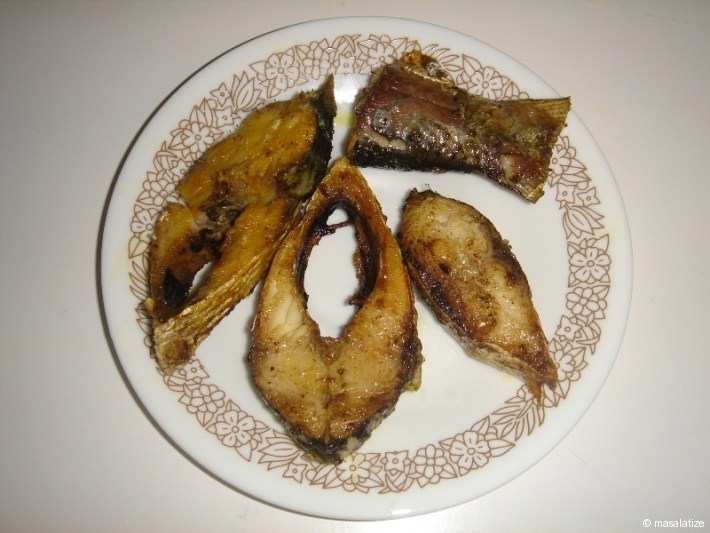 Take the fish and clean it with water pat it dry.Marinate with salt and turmeric powder. Heat oil in non stick kadai and shallow fry the fish. Keep aside the fish pieces. Put rest of the oil in the kadai and fry the eggplant and potato. Keep aside. 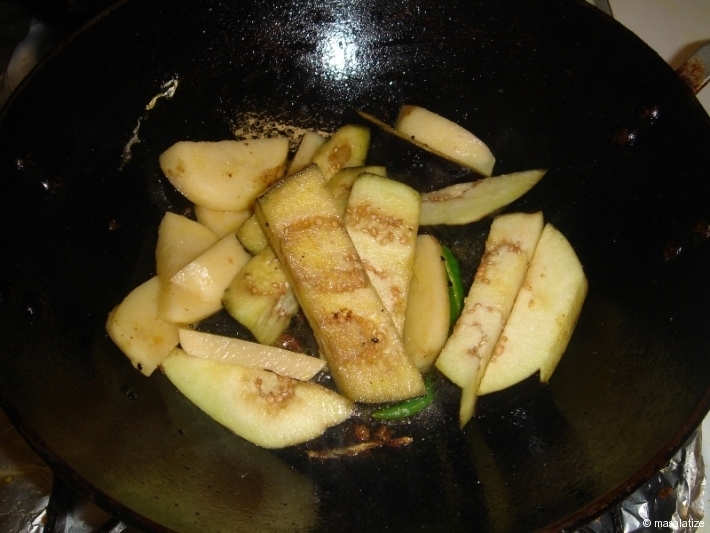 Put Jeera to sparkle in oil and then add the Eggplant, Potato and Green Chilly. After 1min add the cumin powder , turmeric powder, salt to taste , fried fish and water into it for boiling and let it simmer for few minutes.